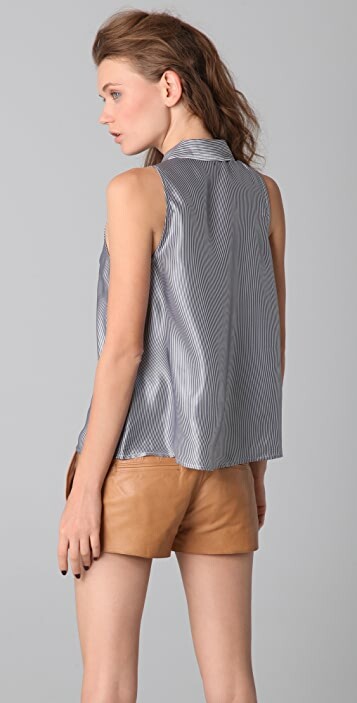 This striped silk blouse features a fold-over collar and a subtle racer back. Patch bust pocket and 7-button closure. Sleeveless. they are known for their amazing quality and great cut clothing. Very feminine and flattering on. Silk is beautiful.